Reader of romance, cozy mysteries, speculative fiction. And sometimes I review. 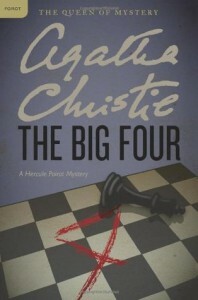 Comments: This is only the second Hercules Poirot (and third Agatha Christie) book I've read. Had I encountered this Poirot first, I don't know if I would have read another. I understand that Christie was trying something different with her great detective by pitting him against four masterminds. It shows that he is fallible -- he arrives at the wrong conclusions or he realizes, a shade too late, that he's made the wrong assumptions many times during the course of this book. They are always many steps ahead of Poirot and it's difficult for him to out-wit them. He confesses to Hasting that he doesn't play chess, and I think that's part of his problem. Because of the way the book was plotted, I had a hard time believing that #4, the Englishman, could pull off all those impersonations -- especially if it was a long-term one. Giving Poirot a worthy adversary is a great idea, I just think it wasn't well executed. Though I didn't enjoy the plot, I still enjoyed Poirot and Hastings. I have a couple of her better-known Poirots and I'm looking forward to reading those. Summary: On Dorvalla, a pair of rival ore mining companies compete for business. One company, Lommite Limited, has been suffering from "accidents" – sabotage – and plans to retaliate. Meanwhile, Darth Sidious dispatches Darth Maul to Dorvalla: he needs the Neimoidians to gain control of the shipping, so he can proceed with his own dark plans. The story sets the stage for the events in James Luceno’s Cloak of Deception. 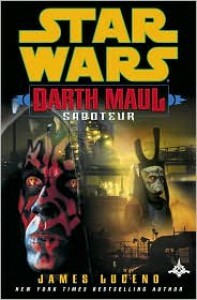 Review: Darth Maul’s part of this story is mostly peripheral. However, his actions dictate the rest of the characters actions. He easily sabotages everyone else’s sabotage plans. In the end, the Trade Federation gets their contract. Luceno sets the stage for the events in the beginning of Cloak. It’s just as good as the novel, written with the same humor and unfolding plot. Tarkin makes an appearance in this story. "Compassionate and Neimoidian don’t belong in the same sentence, Monchar." – Jurnel Arrant. "The Neimoidians are greedy and weak-willed. I find them unworthy." "You left out duplicitous and sniveling." From the back: Miss Joanna Fulgrave has turned herself into the perfect society catch to be worthy of dashing Colonel Giles Gregory. But all her hard effort to improve herself comes to nothing when it looks as if Giles is about to propose to someone else. Deciding that bad behavior is infinitely more attractive than perfection, Joanna flees her shocked family. Giles is hot on her trail, determined to catch her and bring her safely home. 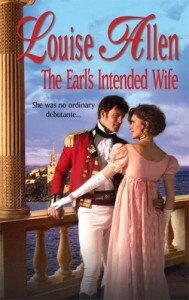 Comment: I enjoyed Ms. Allen’s previous Harlequin Historical, The Earl’s Intended Wife (793), very much and I hoped this one would be just as enjoyable. Though there where a few things I thought were far-fetched, I could easy overlook them because the over all story held my interest. 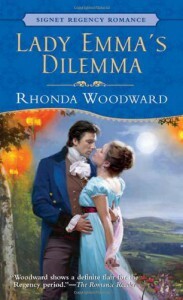 Joanna’s best-laid plans fall apart when she believes the man she’s in love with is going to propose to another woman. The shock is so great that Joanna throws away her status as the perfect debutante and behaves recklessly, much to the consternation of her parents. For nearly two Seasons, they’ve stood by as Joanna rejected suitors with very little explanation. Rufus Carstairs, Earl of Clifton, has expressed his desire to court Joanna and is even willing to overlook her behavior. Joanna won’t have him. Her parents, pushed to the end of their patience, decide to pack her off to Bath and elderly relative -- instead of joining the family in Brighton -- until she comes to her senses and agrees to marry Clifton. So Joanna does the only thing she thinks she can do: she runs away. ★★★★★ -- Loved It! Definitely a keeper! Likely to be re-read! This book really grabbed/spoke to/excited me! -- I will read more from the author. ★★★★ -- Really Liked It A Lot! Great read! -- I will read more from the author. ★★★ -- Enjoyable Read. Held my interest. Felt I got my money’s worth. -- Very likely to read more by the author. ★★ -- Just OK. Finished the book. Had some enjoyable moments. Book was hard to get into and/or hold my interest. Just wasn’t to my taste. -- Depending on the reason the book didn’t appeal to me, I might try to read something else by the author. Will check out reviews first. ★ -- Finished it, but wished I hadn’t. Book may have had potential (3 or 2 star level), but failed to pay off in the end. -- Like the 2-star rating, whether or not I read the author again will be determined by the reason the book disappointed me. DNF -- Did Not Finish. Could not make myself finish reading it. -- Again, the reasons for not finishing the book will play into whether or not I read the author again (In recent years, I haven't felt motivated enough to write one; however, there are a few that I might cross-post to Booklikes from my blog). At this time, I have no plans to use them, even retroactively. However, starting in 2014, I'll consider using half-stars on books read from 1 January onward. From the back: Hebe Carlton had little idea of her own charm until Major Alex Beresford arrived on the island of Malta. She made no attempt to cast out lures and treated him with warm practicality, showing an insight and ability to read him that few others had managed. His attentions made Hebe blossom, and her stepmother began to entertain hopes of a wedding. Then a letter arrived for Alex. The proposal of marriage he’d made to another before ever meeting Hebe had been accepted at last. He should be happy. . . But now Alex could only contemplate marrying one person — and it wasn’t his betrothed. 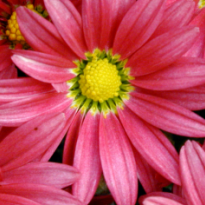 Hebe is no diamond of the first water. Orphaned and living with her widowed stepmother on Malta, Hebe is everyone’s friend. She isn’t out to snare a husband and she doesn’t excite the interest of the officers of the Royal Navy or Army. That is, until she meets Major the Honorable Alex Beresford, second son of the 3rd Earl of Tasborough. Alex is no rake. An Army intelligence officer, he makes his first appearance in Hebe’s home bone weary, having just arrived from a mission. He isn’t in the mood to be charming to a young, and he assumes, marriage-minded miss. He is surprised, therefore when Hebe arranges for him to have an afternoon nap in the garden. The author packs a lot in a short book. She tries to make every scene count. When Hebe and Alex are tossed overboard and washed ashore in France, she prudently decides not to make their trip one near miss after another and fraught with danger. Instead, she develops the characters. Hebe is resourceful in a crisis. She dresses Alex’s saber wound, and the author ups the stakes by making Alex susceptible to a marsh fever when exposed to prolong cold or wet. He gets them to a shepherd’s hut before succumbing. A delirious Alex takes advantage of Hebe while they are hiding from the French. Hebe believes Alex thinks she’s Clarrisa, the woman he’s betrothed to. Though the experience is painful, Hebe is quick to realize that part of her didn’t want him to stop. She loves him. As for Alex, he awakes from his fever with a vague memory of the incident, but she convinces him that he was dreaming. Since neither has revealed their loved to the other, more misunderstandings ensue. However, the truth finally comes to light and they have their happily ever after. I like how the author decided not to make Anna a former lover or mistress of Alex’s. She makes it very clear that Anna and Alex are friends because of Anna’s late husband, and there was never anything between the major and his sergeant’s wife. Shout out to Jane Austen: Hebe is seen reading both Sense and Sensibility and Pride and Prejudice. One pet peeve: Anna, a Spanish lady who confesses that she doesn’t read English very well, points out the newspaper’s death notice of the Earl Tasborough to Hebe. The book also introduces, very briefly, the couple of the author’s next book. Hebe’s cousin, Joanna Fulgrave and Major Gregory, friend and groomsman of Alex. From Goodreads: Catharine, smarting from the bitter blow which deprived her of her lover, meets the lusty sea Captain Jake Pennlyon, who makes it clear that he allows nothing to come between him and his desires. 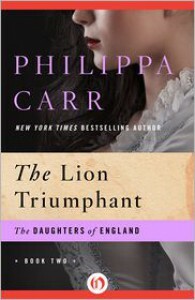 Catharine is the chief of these and the battle between two strong-willed and tempestuous people is fought out in the shadow of the growing rivalry between Spain and England. Catharine delights in outwitting the man who would subdue her and before he can have his way a mysterious abduction takes place. A captive on a Spanish galleon, Catharine experiences the terrors of the sea and makes the acquaintance of the mysterious and dignified Don Felipe. In the Hacienda she discovers the reason for her capture and what is demanded of her, which bears out the fact that Jake Pennlyon is a man whose life is inextricably interwoven with her own. Dear Diary: Catharine Kingsman, the only child of Bruno and Damask Kingsman. Heartbroken after learning she can never marry the man she loves, Catharine is in Devon, visiting her adopted sister Honey Ennis at Trewynd Grange. I've been steadily reformatting my reviews that were imported from GR. Fortunately, I did not have many -- less than 50. I've got approximately 25 left to do. For the most part, I did not change the post dates, so they remained in their original spots on the timeline. I've adjusted one or two to be a different date in the past -- for example, changed to have the same post date as the entry on my blog. I've also gone back to GR and modified the reviews: left a paragraph or two and a link to BL. As for "new" content, there well be two types: books read in the current year (2013-??) and older reviews I'm tagging "Flashback Review" (2012 and earlier). "Now I was more certain than ever of my decision. I could never love a man who did not love Jane Austen." Once lovers, Lady Emmaline and Baron Devreux have differing points of view concerning a long-ago tryst --and some "what ifs." But in an unexpected encounter, the two simply have too many questions and the answers only come by moonlight-with a little mischief. The book was an enjoyable read. 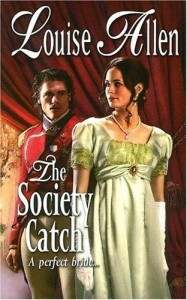 As in Austen's Persuasion, the hero and heroine are given a second chance at a relationship. Emma and Jack were going to elope thirteen years ago. However, on that fateful night, Jack's strange behavior (which included driving off in the wrong direction) caused her to walk away. Unlike Anne Elliott, Emma did marry to please her family. It was an unhappy marriage and Emma lost a child to illness. Now a widow, she's returning to London society after several years. Jack, during this time, has reclaimed his family's honor and established a successful stud farm. He never married, but he's not a rake either: he's had mistresses, but never for very long: he still loves Emma. It's nice to read a Regency where the heroine, a member of the ton, has real friends of the same social standing. Emma's friends are not rivals in love, fashion, or hospitality. Though she is the granddaughter/sister of a duke, her friends are not inferior to her, like Harriet Smith to Austen's Emma. They are real friends who enjoy each other's company and "hang out" with each other. The end was a bit annoying and drawn out. Emma kept waffling about trusting Jack, even after she'd admitted her feelings and he'd made his intentions known. From Goodreads: For Emily, accepting Philip's proposal was an easy way to escape her overbearing mother. And when Philip dies on safari soon after their wedding, she feels little grief; she had barely known him. Now, nearly two years later, she learns that her husband was very different from the man she thought she had married. Eager to find out more, Emily begins to study the priceless Greek statues her husband collected. 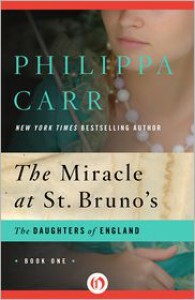 Her search leads to the British Museum, where she discovers that a ring of forgers is stealing artifacts from the Greco–Roman galleries. Solving the crime will lead to more discoveries about Philip and cause Emily to question the role in Victorian Society to which she, as a woman, is relegated. Comments: I had this book in my TBR pile for some time. I bought it when I was going through a historical mystery phase. At one point, I had added it to my purge pile. I "rescued" it because it fit a couple challenges. I'm happy I did. I really enjoyed this book. I loved how Emily learns to love her dead husband, having never taken the time to know him when he was still alive, and regrets the loss opportunity. I also liked that Emily wasn't going to conform to every little society rule, though I did feel that, sometimes, she did things "just because" -- not everyone who's concerned about your welfare is trying to run your life. Refusing to give in to her mother's demands is one thing -- the woman is overbearing and makes Mrs. Bennet's matchmaking efforts seem tame in comparison. But dismissing the sincere warnings of a friend who's concerned for her safety, because she believes he's trying to run her life, makes her seem a little immature. The mystery, or I should say the plot, was a little slow in the beginning. Since it's the first book in the series, there had to be character introductions and "setting the stage", so to speak. The mystery didn't start out as a mysterious circumstance -- as Emily becomes more interested in the antiquities, the mystery comes to light. 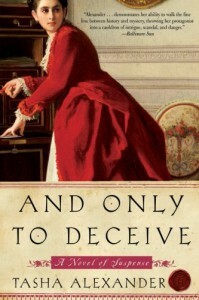 One of my favorite characters was Cecile du Lac, the older French lady Emily befriends in Paris. The other was Colin Hargreaves, Philip's best friend. I plan to continue reading the series. "Maybe he wants to put us in charge of the budget deficit." From Goodreads: "I was born in the September of 1523, nine months after the monks had discovered the child in the crib on that Christmas morning. My birth was, my father used to say, another miracle: He was not young at the time being forty years of age. . .My mother, whose great pleasure was tending her gardens, called me Damask, after the rose which Dr. Linacre, the King's physician, had brought into England that year." Thus begins the story narrated by Damask Farland, daughter of a well-to-do lawyer whose considerable lands adjoin those of St. Bruno's Abbey. It is a story of a life inextricably enmashed with that of Bruno, the mysterious child found on the abbey altar that Christmas morning and raised by the monks to become a man at once handsome and saintly, but also brooding and ominous, tortured by the secret of his origin which looms ever more menacingly over the huge abbey he comes to dominate. Dear Diary: Damask Farland, the only child of lawyer William Farland and his second wife, Dulce. Her father wanted her to be educated and so she had tutors. Damask is very close to her father and he confides in her his worries about the way things are heading with King Henry and the church. This day in history: My notes from an earlier re-read are filled with important dates in Henry's, Edward's, and Mary's reigns. The book spans from 1522 to 1558. Damask was born in September 1523 and is ten years older than Elizabeth I. How history played a part: Damask's father was a lot like Sir Thomas More -- initially intended to be a monk and left that life to have a family, though still strong in his faith. Henry's split with Rome and proclaiming himself head of the church upsets Lawyer Farland and his household, which is next to St. Bruno's Abbey. Damask and her family suffer through the political and religious changes each reign brings. "You shouldn’t keep the front door open. What’s to stop people coming in and hitting you over the head? It’s preposterous." I was looking trough the paper version of my reading journal when I came across something I forgot was there (two pages were paper-clipped together -- why? I don't know). Before I continue, I should give a bit of background first. 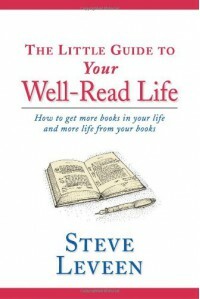 My reading journal is/was based on The Little Guide of Your Well-Read Life by Steve Leveen, who owns Levengers. Levengers sold the "Bookgoraphy" journals (in their Circa format, which I love), and in the front was a list with the "Top Ten (or More) Permissions of Your Well-Read Life". The first ten were adapted from the book and there was space for a reader's personal permissions that didn't fit elsewhere -- or give yourself permission to ignore a "guideline". Number 6, for instance, would have induced horror in some. :) The list also pre-dates the rise in ereading -- so now that guideline isn't so...horrible (unless you still read paper). Sadly, Levengers no longer sells the journals. The journal re-fills, thankfully, are available as Special Requests. Permission to love, or not love, any book whatsoever. Permission to read only books that I love. Permission to give up on a book. Permission to read more than one book at a time. Permission to write in my books. Permission to read with my ears as well as my eyes. Permission to linger in a library even if I prefer to buy books. Permission to spend as much on books as I do on other great passions of my life. Your thoughts? Do you have any "permissions" you give yourself? "I would've rescued you sooner, but you were having an important relationship conversation." So..I didn't like all that other text under the blog icon. Some of this is copied directly from the blog's About Me..
My name is Christina. I'm a civilian employee of the U.S. Army whose job moved to Kentucky -- and I chose to go with it. I really love my job. I'm pretty casual about reviewing. Lately, I haven't been reviewing every book I read. Since it's a hobby, I don't feel pressured into writing something when I rather just jot down some private notes for myself, decide on a star rating, and move on to the next book. I try to read books that grab my interest. A 3-star or above is a guarantee that I will read more from that author. I've moved away from reviewing books that I don't finish -- unless it is part of the Star Wars Expanded Universe. As a long time female fan of Star Wars, it is one of the few areas I feel comfortable doing a DNF or low-marked review. I do not accept review requests. Period. It would stop being a hobby if I started accepting commitments like that.